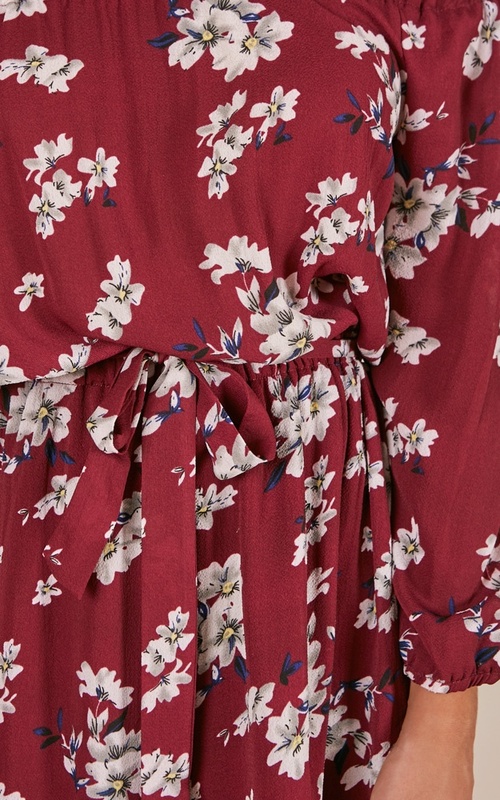 Turn heads in the Floral Burst playsuit ! 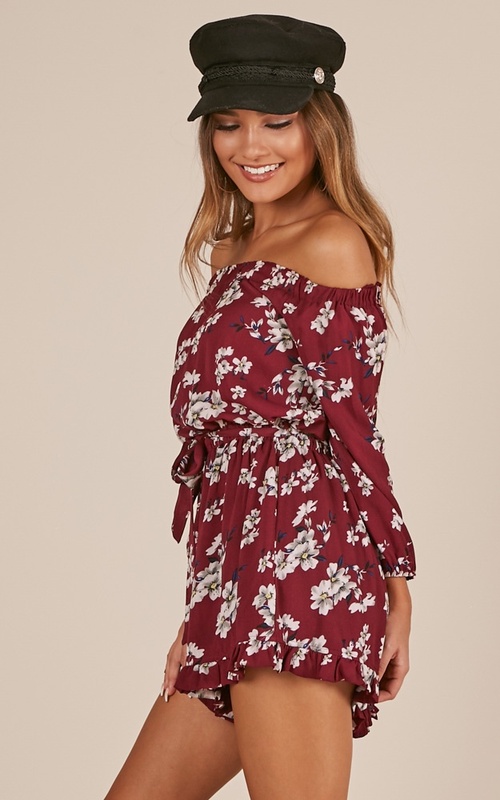 This off shoulder playsuit is partially lined and has a sash included for easy wear. This casual occasion piece also features a mini length. 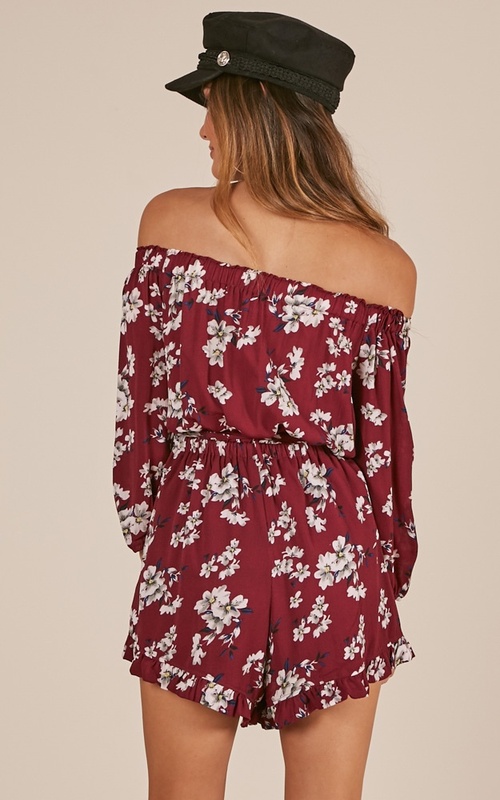 Prepare to look amazing in this playsuit. I don't normally wear this style but decided I might give it a go and lo and behold it is definitely a winner! 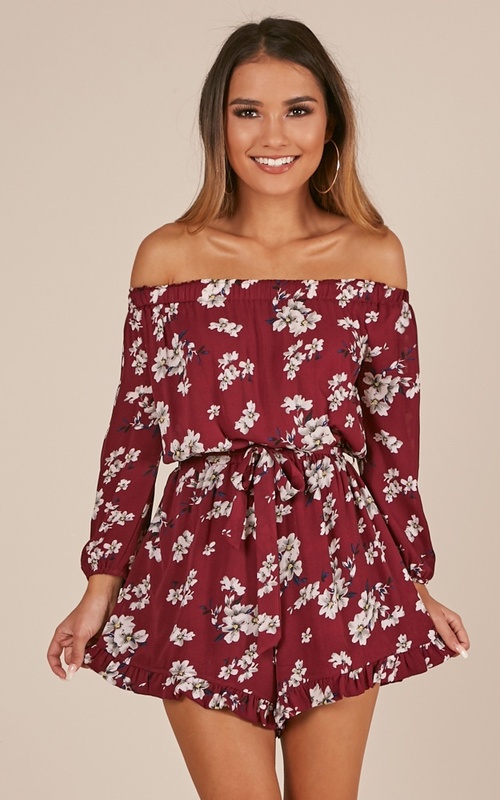 It fits perfectly and having a larger chest area and purchasing online was a 50/50 but this playsuit is perfect! Material feels so good for hot nights and defs can dress it up or leave it as it is for a casual date! Playsuit fits well, the elastic at the top can get tangled however is able to be fixed with some patience. Long enough in the body for tall gals and fits well for plus size.